Johnnie Walker is a global brand of Scotch whisky with a long history dating back to 1820. The challenge is to highlight distinctive character of its Black Label blend and let the experience spreads by word of mouth across Thailand. A one-of-a-kind experience of special celebration is created by mocking up a journey on the historic Oriental Express train. An exclusive party on the train gives the passengers a view of outdoor performances and light shows. Called THE BLACKLIST, this party is held secretly. The train tickets are confidentially sent to top celebrities as an invitation to be the part of this journey. The bottle design of Johnnie Walker Black Label has a unique shape, which inspires its symbolic use in this communication campaign. A 3D graphic of the bottle’s top view creates an illusion of a tunnel and a train running on the mouth of the whisky bottle. 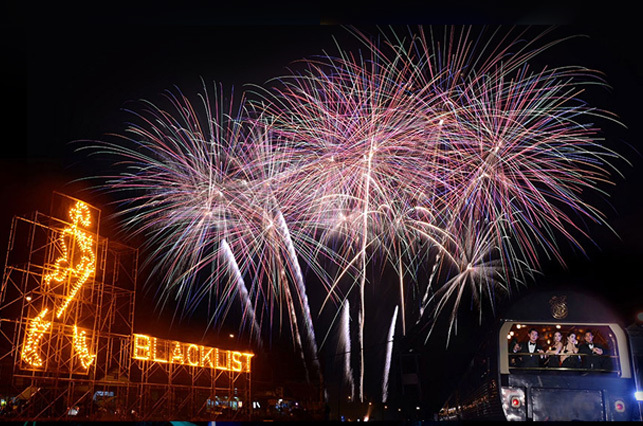 Following its debut success, THE BLACKLIST party becomes a to-die-for experience held exclusively every year.